Lord Shiva, the supreme power, is worshipped in different forms, and Kalantaka is one of them. Kalantaka, the ender of time and death, is an aspect of Lord Shiva which Lord Yama has personified itself. Worshipped more in the southern part of India, Shiva is often depicted as dancing on death. He is seen killing Yama when he comes to take the life of Shiva’s devotee Markandeya. The legend of Lord Shiva as a savior of Markandeya has a significant place when it comes to salvation in Tamil Shaivism. The tale is related to the shrine of Thirukkadavoor which is dedicated to Kalantaka. 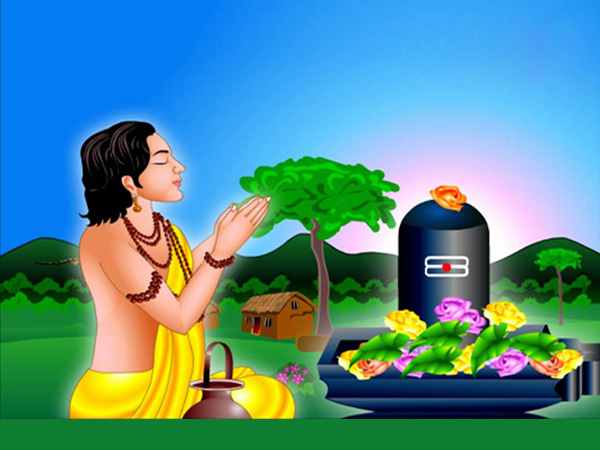 Sage Mrikandu in the urge of getting blessed with a son prayed to Lord Shiva at Vilvavanam. Delighted by his efforts God offered him a choice between a virtuous son who would live for 16 years or 100 foolish sons with long lives. He chose the former and named him Markandeya. Years later when Markandeya was at the end of his 15th year, Lord Brahma taught him Mahamrityunjaya Mantra, the great death-conquering mantra. Following Brahma’s advice, Markandeya worshipped Shiva’s linga in the south of Vilvavanam (now identified with the present Thirukkadavoor). Even the gods pleaded for the extension of his life and finally, the worshipping paid as he was blessed with an extended life. As per his old destiny, the messengers of Yama arrived to take away his soul, but his continuous chanting of Shiva’s name saved him as they couldn’t even reach near him. Afterwards, Yama came all by himself to stop him from worshipping so that he could follow death according to his assigned fate. Markandeya refused to this and left him with a warning that he was going against Lord Shiva. 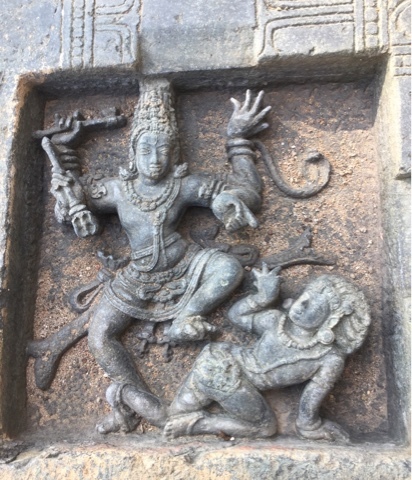 The wrathful Yama proclaimed that nobody could stop him and hence threw his nose towards Markandeya to capture him while the latter stood to hold the Linga with all his strength. As the noose touched the Linga, Shiva appeared, smacked Yama with his Trishula kicking his chest and killing the Lord of Death. Shiva then bestowed Markandeya with a blessing to remain a youth of 16 for next seven Kalpas. As the Lord of death was dead, no one died. Hence earth was being burdened. To this, gods, Markandeya, and earth invoked Shiva so that he could revive Yama. He then touched Yama with his foot which brought him back to life. The shrine legends narrate Yama’s promise of never touching any of the Shiva’s devotees. Therefore, each of the dead Shiva’s devotee is taken to Mount Kailash and not Yama’s hell. The legend coveys the message of pure devotion and how it is reciprocated by the God. Shiva’s superiority and his victory over himself identifies him as the conqueror of death and time. It also showcases that pride and egoism like that of Yama’s are always pitied upon. Furthermore, the legend at Thirukkadavoor lays down the foundation rules of Shiva. Shiva’s portrayal as Kalantaka is very popular in Southern India and is restricted to the very region only. Kalantaka’s relief in Chidambaram Temple has now been turned into a shrine and is even offered special worship on the occasion of Kartik Poornima. The Shiva temple at Thirukkadavoor is considered to be the place where Lord Shiva had defeated Death. Thirukkadavoor also known as Thirukadaiyur, Tirukkadavur, Tirukkatavur or Katavur is one of the Atta-virattam which are the magnificent sites of the Shiva’s heroic acts. Paying an ode to Kalantaka, the Tevaram poetry praises Shiva’s feet to be the ones who kicked Death. In the Tevaram, Campantar sings about the act of Shiva helping him by kicking Death and decreeing that Death will never touch his devotee. The end of Yama by Shiva signifies him as the conqueror of Death and undoubtedly the most powerful among the Hindu pantheon of Gods.